It was the most difficult shot I’d ever created. I sat, huddled in the cave, wondering if the stars would ever creep out on that cloudy night. It was the Milky Way, after all, that I was hoping to photograph that night, while light painting the kiva in the foreground. Midnight…still no stars… 1am, 2am… then I hear something in the distance. Thunder. I look out, hoping my ears had deceived me, and there it was. A bright flash of lightning, miles away, crashing over distant canyons. The first thought that came into my mind – panic. 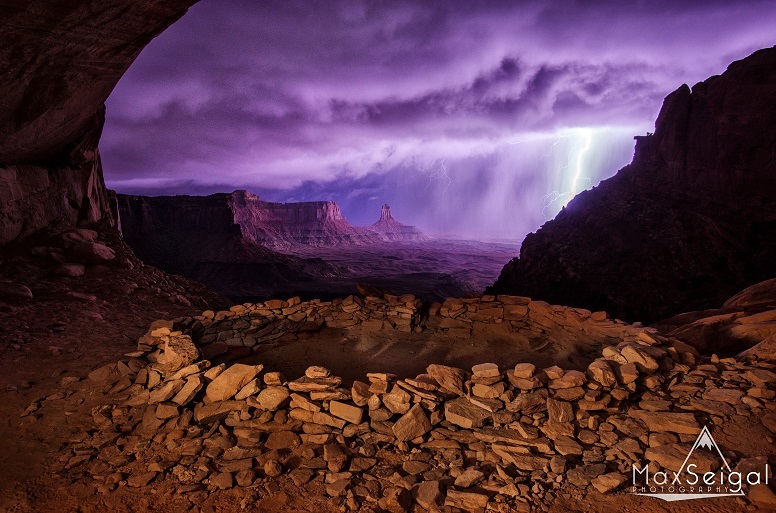 Here I was in a very remote location in Canyonlands National Park, alone in the darkness of night, and a massive thunderstorm was rolling in my direction. Did I have enough time to pack up my gear and run to my car? I waited for the next bolt of lightning, which flashed only moments after the first but seemed much, much closer than the first. The storm was moving fast, there was no way I could outrun it. I had to stand my ground and wait it out. The raindrops started trickling around the edge of the cave, then with almost no warning, rain and hail smashing everywhere, and lightning crackling almost directly overhead. It all happened so suddenly, this storm was moving incredibly fast. The wind picked up and started howling, blowing sand, dust, rain, and hail all over the place. My camera was already on its tripod, so I figured I would open the shutter just to see what happens as I curl into a ball to stay dry. I knew the intensity of the lightning would require a much lower ISO than usual for my night shots, so I dropped the camera all the way down to ISO-400 (usually I stay around 6,400 for night shots), and stopped the lens to F5 (usually I’m at 2.8). I had no idea if these settings were appropriate, as I’d never tried taking photos from the middle of a lightning storm before. Suddenly there was a massive crack of lightning a few miles out, so bright that it lit up the canyon light it was daylight. I jumped up from where I was huddling up, and I knew that if I had any shot to make this photo work, it was now. I grabbed my flashlight, and began light painting the cave. Usually just a few seconds of light is enough, but with my camera all the way down to ISO-400, I quickly calculated that I would need several times the average amount of light needed to paint at night. I was running left and right, painting everything I could, trying to remember how much light I had applied to different areas in the cave so that the exposure would come out evenly. I had no idea if this was going to work… I had never tried anything like this before! Finally I turned off my flashlight, crossed my fingers, and clicked the shutter closed. I held my breath and clicked the review button on the camera. Unbelievable!!!! The shot was more amazing than I ever could have imagined… what a reward for such effort to capture the shot. 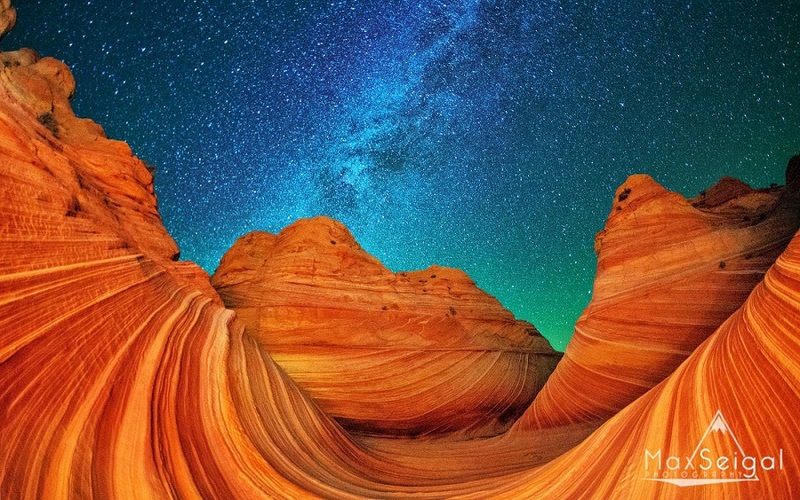 This photograph would later on win second place in the 2013 National Geographic Traveler photo contest, which received over 15,000 entries this year. AN HOUR AFTER SUNSET, most photographers are packing up their gear and heading to a nice hot meal and a warm bed, but not me. I’ve waited all day for the sun to dip over the horizon, and now it’s time to grab my camera bag and start hiking. Typically, I will scout a location during the day, looking for unique angles, perspectives, and subjects to shoot, with a vision in mind of how it will look at night. I examine the subject: will I be able to illuminate it with a light (like a tree, for example) or is it too far away or too difficult to light, in which case it’ll remain completely black in the photo (for example, a distant canyon or desert tower)? Next, I think about how I’ll compose the photo during the dark of night. A composition that looks great in the sunlight isn’t necessarily one that works at night. Then, I think about how the lighting will affect the subject, where the Milky Way will be in relationship to the subject, at what angle the moon will appear (if at all that evening), where light pollution from nearby cities might show up in the photo, and countless other elements that don’t need to be accounted for in your standard daytime travel photography. Finally, there’s the matter of actually finding the subject you scouted during the day. Imagine you’re walking around a vast desert and spot the perfect tree in the distance. 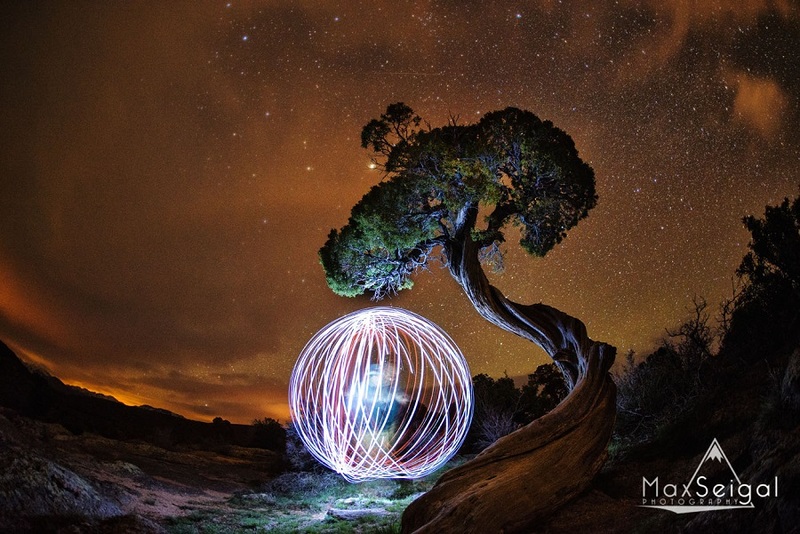 It’s guaranteed to make a memorable night shot — but it’s still a lone tree in a wide-open desert. 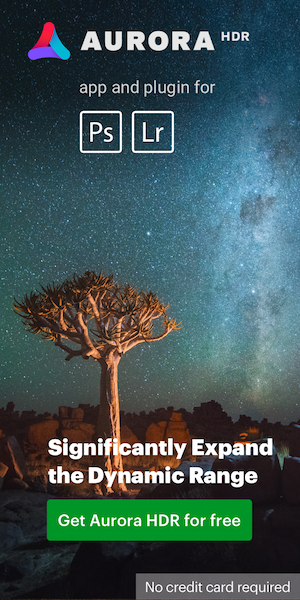 The second the sun goes down and you’re walking around in pitch black with a headlamp that only gives you a 10′ visual in any direction, the simple act of finding that tree might well be the most challenging task of the night. 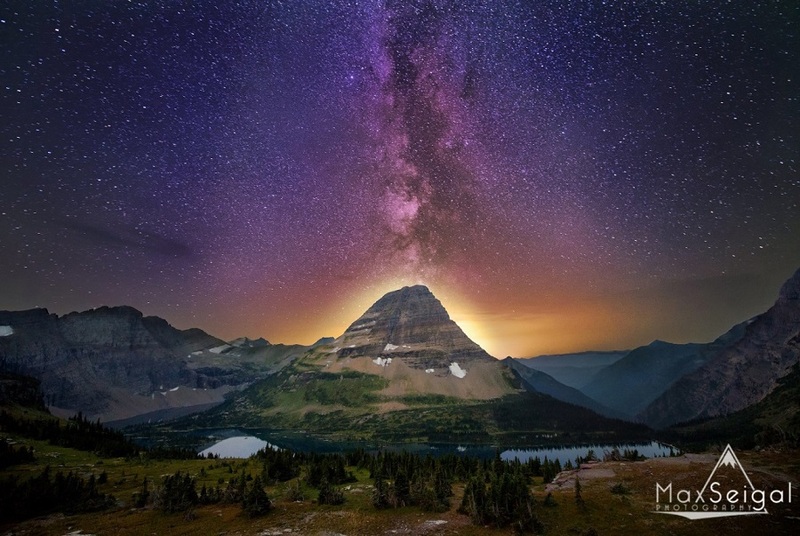 There are so many factors, so many challenges that come into play with night photography, that when you finally do capture the perfect night shot, it’s that much more rewarding. 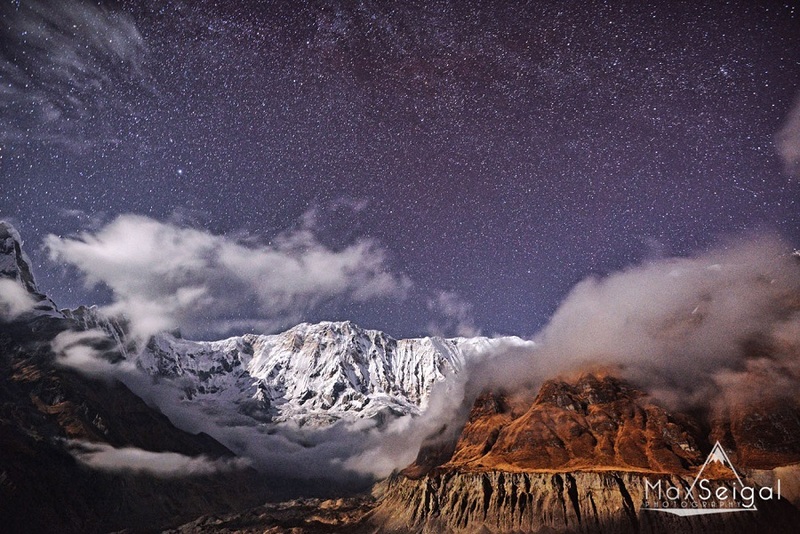 This photo was taken from Annapurna Base Camp in Nepal. I spent the night standing outside in sub-zero temps, waiting for the moon to be at just the right angle to illuminate the massive 8,167-meter peak. Here, the only reliable form of illumination for the landscape was the moonlight. On a moonless night, the mountains would have been lost: black silhouettes against the starry night in the background. As I was shivering for hours in the cold dark night, I had to do jumping jacks between shots to keep warm. I accepted it as part of the dedication required to get the great night shot above. 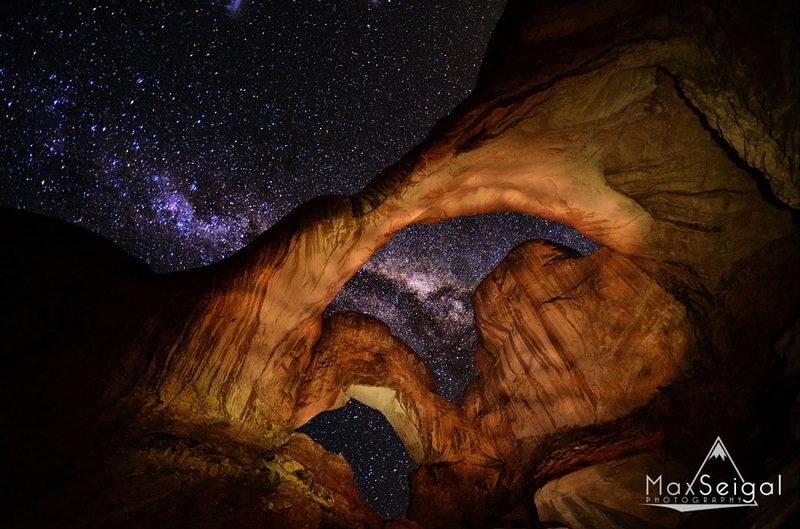 This shot was taken at Double Arch in Arches National Park, Utah. The particular formation was difficult to illuminate evenly because the top of the arch reaches 148 feet high. Its height means it requires significantly more light painting at the top than the lower portions of the arch to achieve an even spread of light. 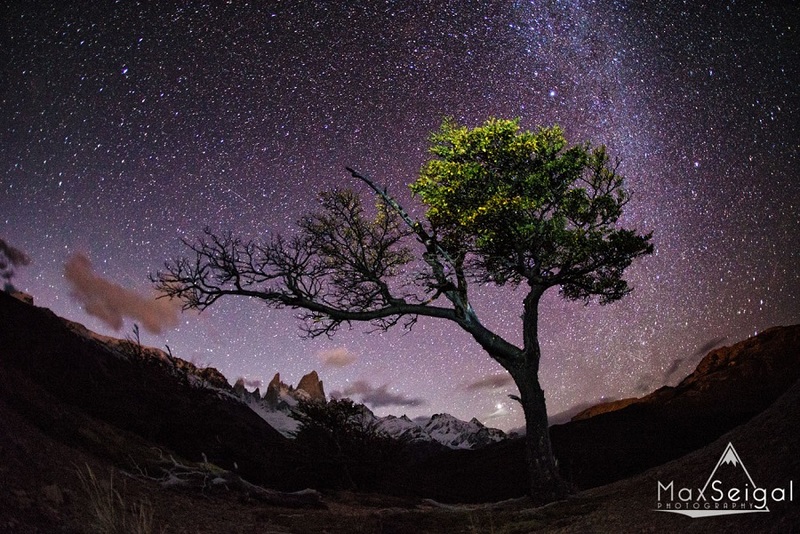 I spent several days hiking around Fitz Roy in Chile in search of great night photography locations. I stumbled on this tree halfway up the eight-mile trek to the mountain’s base. I knew it was going to be a challenge finding the tree in the night, so I made sure to memorize nearby landmarks to help find my way. At midnight, I started hiking and quickly realized it was a terrifying experience to try to keep track of the tiny footpath that wandered through the woods for miles, alone in the dark. After about two hours, I finally began to recognize the landmarks I’d memorized earlier in the day and managed to capture one of my favorite night sky images to date. 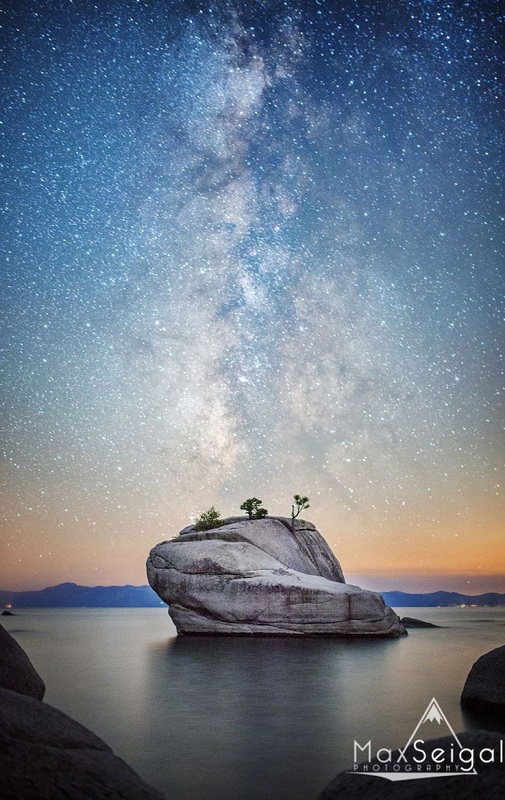 There are several techniques for night photography — some more pure and natural than others. While many of my shots only incorporate natural features of the landscape, I wanted to add a human element to this night shot. The idea in my mind represented the symphony of man and nature, the integral relationship between us and the natural world we live in and the interconnectedness of mankind with our environment. I searched long and hard for a subject that could portray this message. The tree I found, shaped by years of relentless winds on the rim of the Black Canyon in Gunnison, was perfect for the shot. Sometimes everything comes together and no amount of planning could have created a more perfect photograph. 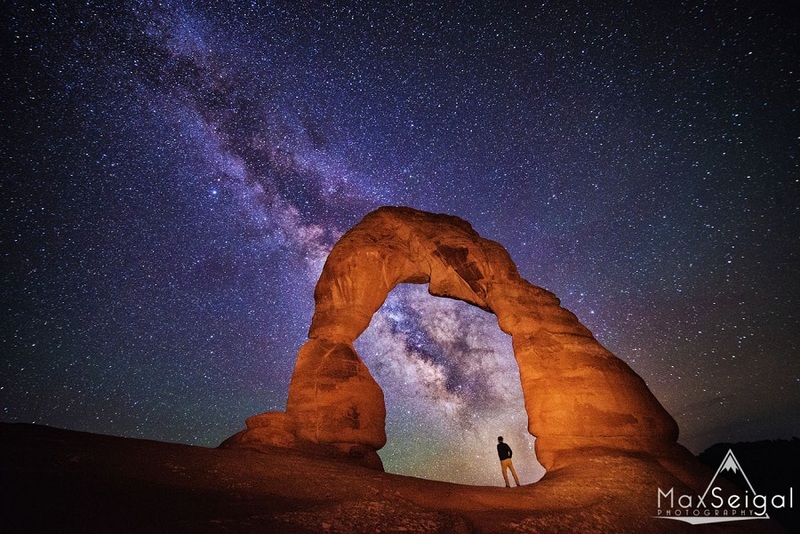 I spent the night photographing Delicate Arch in Utah, getting images of the arch in contrast with the Milky Way behind it. As I was just about to leave, I thought it would be fun to get a self-portrait in the setting I love most — outdoors, lost in the vastness of nature and night. I set up my camera and light, set off the trigger, and quickly ran under the arch to stand for this image. I had no idea how it would turn out, but when I returned home and downloaded the image to my computer, I saw that everything had come together by chance to create this compelling night shot. 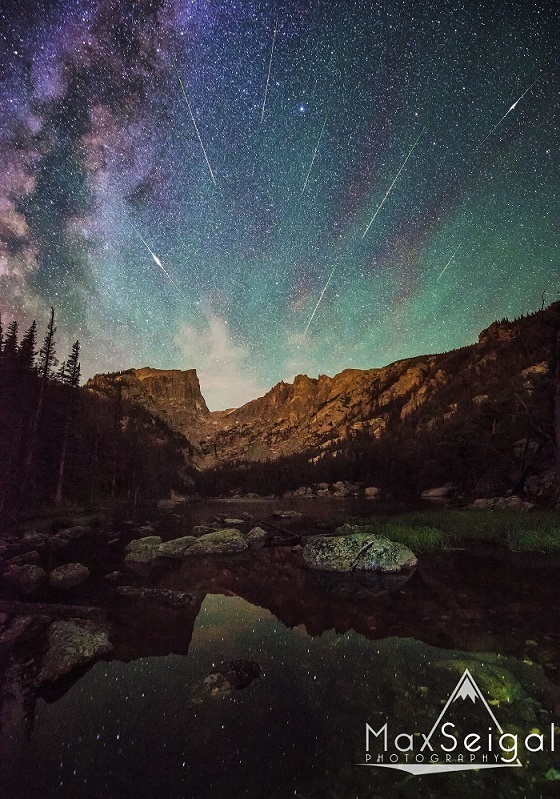 Perseid meteor shower. For this image, I took several shots during the night, and those frames that captured a meteor, I merged together to get a composite of the night. Most of these images were made with the D600, a camera who's low light capabilities really surprised me. A range of lenses were used, including Sigma 15mm fisheye, Rokinon 14mm 2.8, and the Nikon 16-35mm f4. More work can be seen at Max Seigal’s website: www.maxwilderness.com.